This luxurious villa on Flagstaff Hill has exceptional views overlooking the centre of Macrossan Street to the mountain scenery beyond. Entry is on the middle level and leads to the main living area with a fully equipped kitchen, dining area and lounge room. Sliding glass doors open out to a veranda with additional entertainment space and a barbeque. 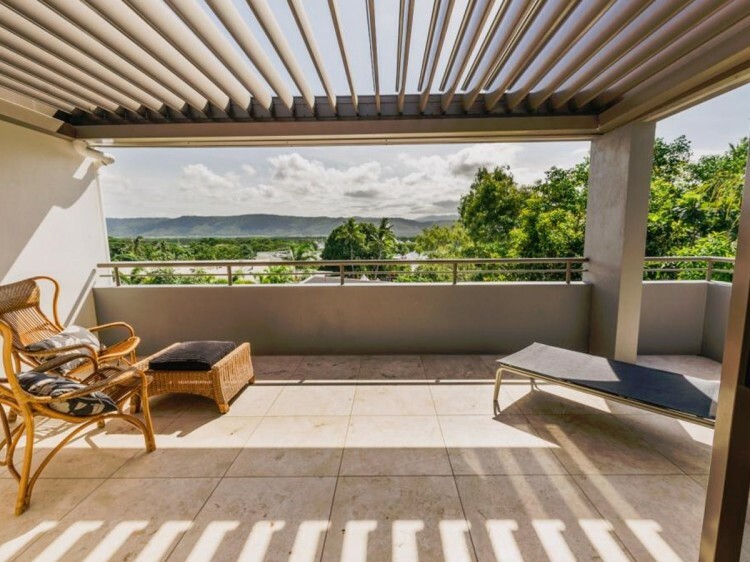 With extensive entertaining areas making the most of the stunning views, imagine you and your guests sitting back watching the sunset after a dip in the private heated pool, or Four Mile Beach just a short walk away. On exclusive Murphy Street, you are only a minute away from Macrossan Street, with its world class restaurants and shopping. 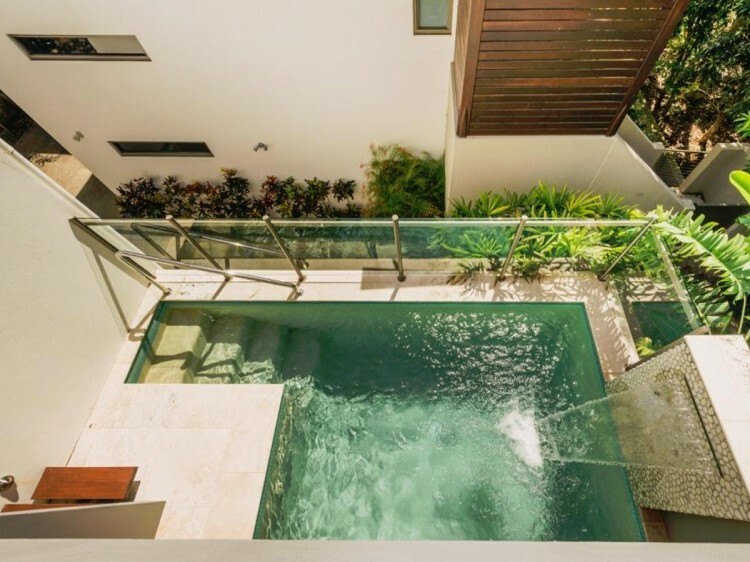 This beautiful home gives you the space, privacy and location for a relaxing and luxurious tropical holiday. 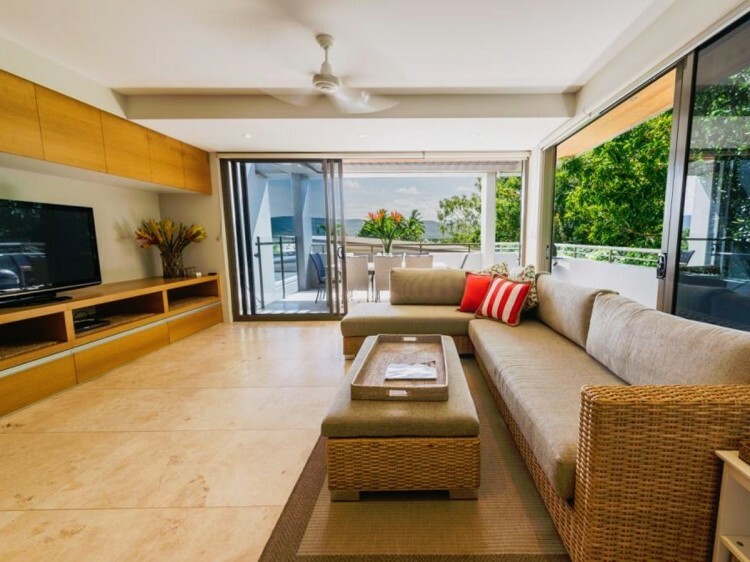 On the top level of this villa you will find the master bedroom with an en suite and private balcony overlooking the tropical ranges. A second bedroom with en suite can also be found on this floor. On the ground floor is a very comfortable fourth bedroom with en suite and private patio, plus a laundry room and access to the two car garage. 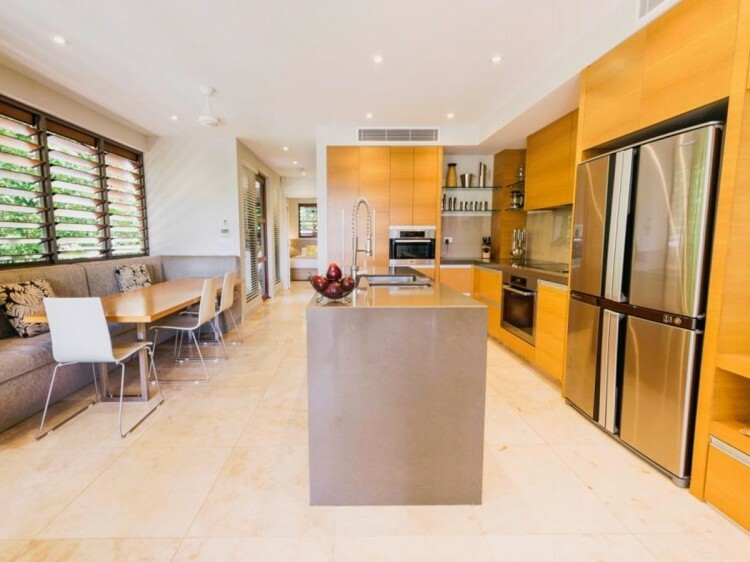 Stone tiling and bench tops through the house, and sliding glass doors onto the veranda keep the house feeling cool by maximising the gentle sea breeze, but the house is also fully air-conditioned if required.